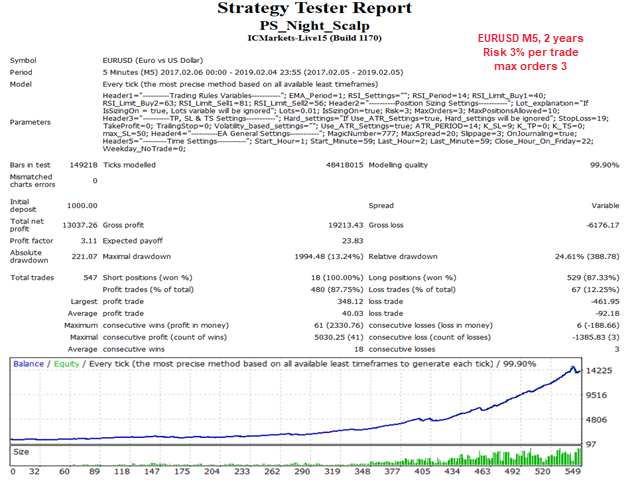 The trade signal of EA Night Scalp is generated in the night at 0-3 hours GMT 00. EMA and RSI indicators settings are used for handling the orders. Time filter is used for choosing appropriate EA working time. Either hard stop loss, take profit and trailing stop values can be used or volatility defined ones based on ATR indicator. 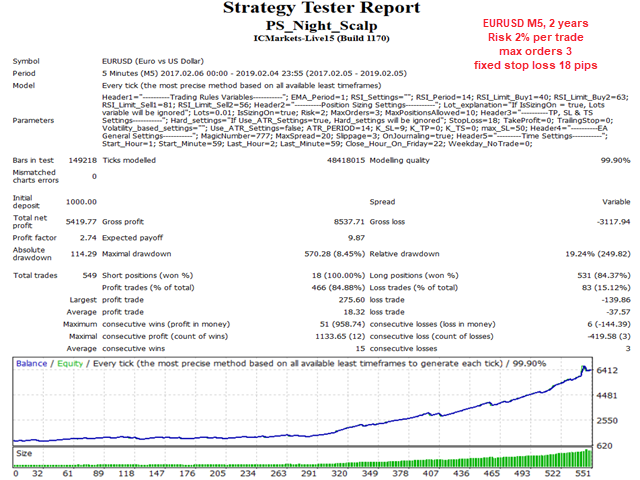 In latter case multipliers for ATR values and the ATR period value must be entered. Sizing option is available. 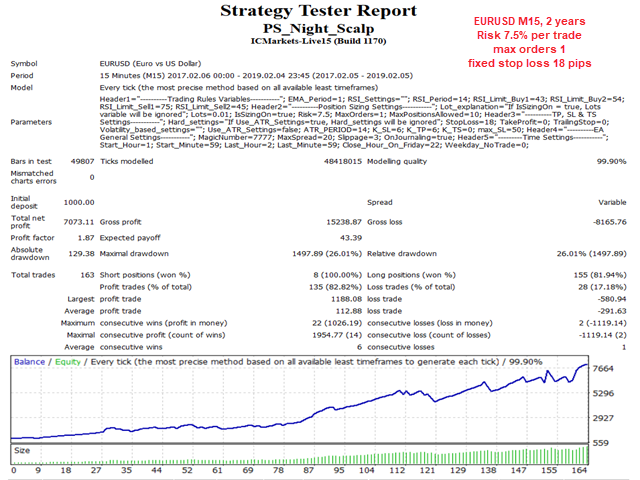 If it is checked, the lot size is automatically calculated depending on a chosen risk and a stop loss value. 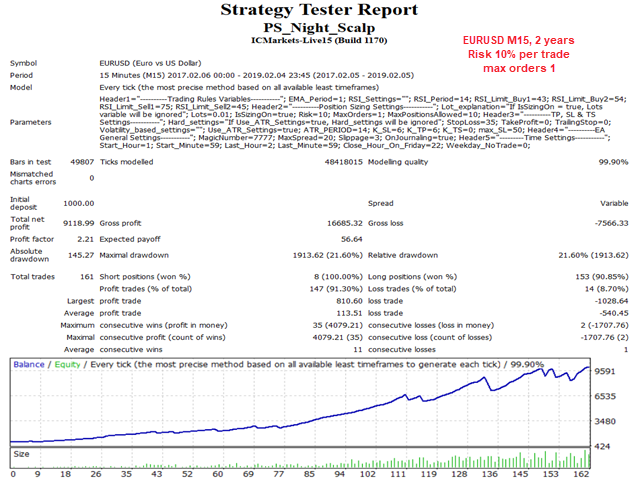 EA was tested on EURUSD pair on M5 and M15 time frames. Every tick data with variable spread and modeling quality of 99.9 percent were used for testing. The best input values for each pair and time frame will be uploaded in comments. Also, you can see some results in the screenshots below. Important! By default time zone used for testing is GMT+2. You should adjust your time settings according your server time.